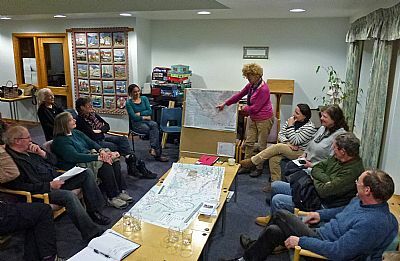 The Coigach Community Hall covers some 565 m2 with a main hall, lounge, community room, exhibition room, doctor's room, library, kitchen, toilets and showers. 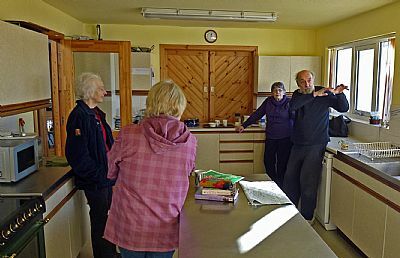 The hall has underfloor central heating throughout and is a welcoming location for local residents and visitors alike, whether it be for special events such as weddings and dances or more casual social gatherings, meetings, exhibitions or paying a visit to the doctor, or library. Wif-fi access is also available and a donation of £1 per person per session to help towards the cost of providing the facility. The main hall is a magnificent room with a high vaulted roof and first class acoustics making it ideal for musical events, dances, parties of all sorts and weddings. 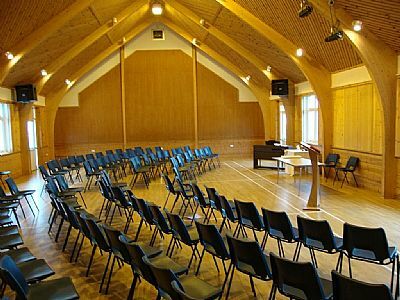 A stage for actors, singers, bands or choirs can be erected at either end of the hall as required and the hall comes with full sound and lighting systems. A wooden floor is marked out for badminton and can be used for other sports practice and circuit training to keep everyone fit and happy. The windows are provided with shutters to prevent damage from wayward footballs and similar. 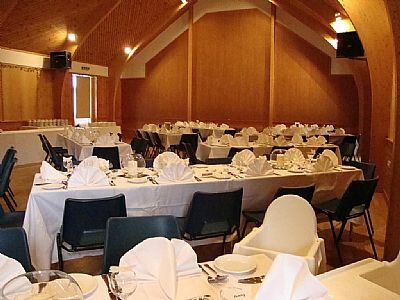 The hall can seat 120 with theatre style seat arrangments, and can take 120 seated at tables for weddings and similar events. For serving food there is hatch access to the kitchen and for drinks another hatch to the bar which is set up in the office area in the evenings. It really is a splendid venue for hosting happy occasions. Carpeted and curtained, the lounge provides comfortable seating for up to 24 persons and is also used for meetings of community organisations using the portable table system for up to 20 people. It can also be used for smaller wedding events has accommodated up to 85 persons. The lounge also has a service hatch to the kitchen facility for serving prepared food and drinks. In the summer the doors open out onto the terrace where you can enjoy the summer sun and have a wander round the well stocked garden. 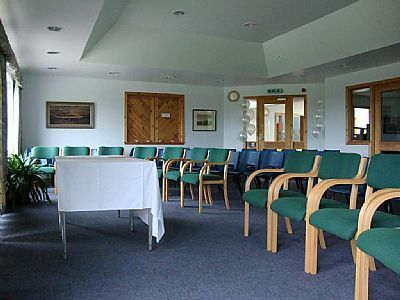 The community room is a smaller meeting room with seating for 14 persons and two tables which can be used for smaller meetings. 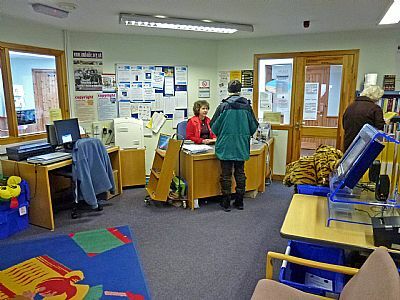 It also serves as a waiting room for the doctors consultations on Wednesdays. The rooms hosts a full sized snooker table and during the summer months is used as a display and retail area for the Achiltibuie Artists. 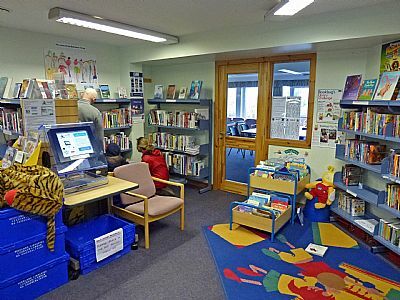 The library funded by Highalnd Council looks out onto the foyer and is very busy on Wednesday mornings with local residents and children from the school. The well equipped kitchen services both the main hall and the lounge area via serving hatches at either end. It is very much at the heart of the hall complex and acts as a focal point for many informal gatherings and conversations. 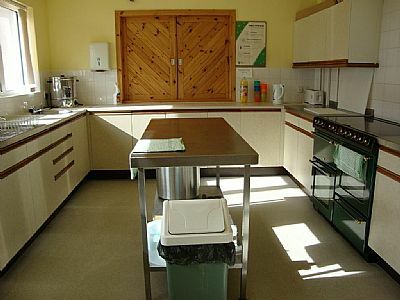 The kitchen is equipped with a large gas cooker, dish washer and two fridges. It has crockery and cutlery for 100 place settings. To book any hall facilities please call Julie Edwards on 01 854 622 409. For sports booking please contact Cathy McNeilage 01 854 622 203.